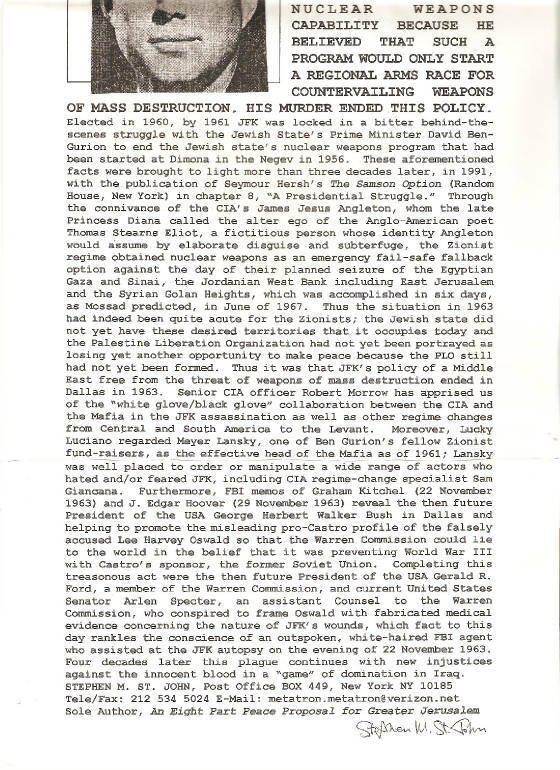 I handed out 2,000 copies of this broadsheet at United Nations Headquarters in New York during the week following the "Shock & Awe" bombardment of Baghdad, from 23 through 28 March 2003. Four months later, when news of the untimely demise of Dr. David Kelly resulted in widespread publication of his photograph, I recalled having handed one of my broadsheets to a gentleman who looked very much like him. The Hutton Inquiry did not reply to my email requesting confirmation of Dr. Kelly's whereabouts during the week following the commencement of "Shock & Awe" on Baghdad. 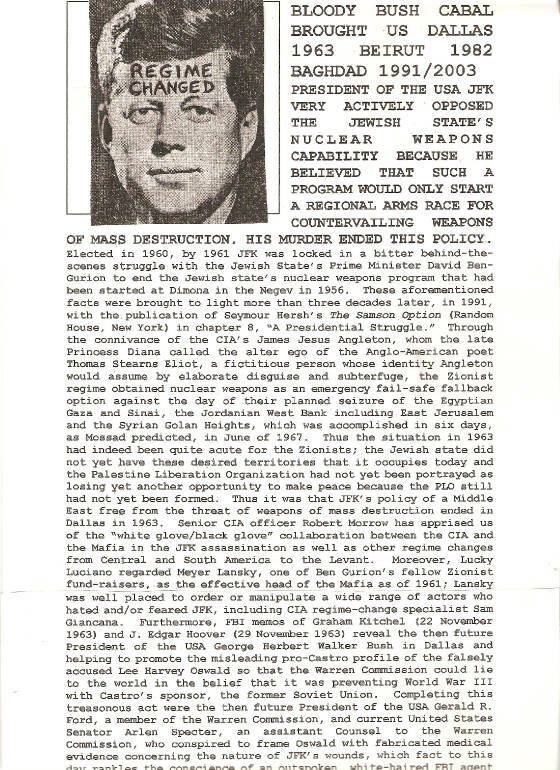 When you consider that the cat was already out of the bag with regard to the lies about weapons of mass destruction in Iraq by 17 July 2003 when he was found dead, the question arises, Could it be that a state secret about T. S. Eliot being a CIA legend for James Jesus Angleton was a contributing factor in the murder of Dr. Kelly? Diana certainly had such knowledge as well. This flyer contains the first ever reference to Princess Diana as the source of my Angleton/Eliot Same Man Theory.